These printable Fathers Day cards are mostly pdf documents which you can just download to your computer and print using a color printer. Do you have problem making your own Happy Fathers Day Cards? I have. I find that of all the different categories of greeting cards, Happy Father's Day cards are the most difficult cards to make. Every year I have to think so hard for father's day cards idea. The second reason is that I lost my father when I was very young so there isn't a need to make one each year. So do bear with me. But I really need and hope to make more of these printable greeting cards for you to download and print. That's one thing I especially want to brush up on - making more cards for fathers; masculine greeting card designs. I think that will be a good challenge for myself to work on. Anyway, if you are like me and have difficulties coming up with ideas for your Father's Day cards, here are two printable Happy Father's Day Cards that you can download and print on your computer. 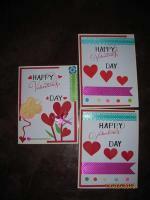 Just use white or cream color card stocks to get the best result. Card #3 : A simple card for dad. Can also use as a birthday card for him. 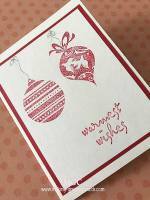 And if the above printable fathers day cards are not to your liking, here are two Fathers Day cards you can create by using rubber stamps and card stocks. Stitched Fathers Day Card - This is a stitched card but you can also use a sewing machine to do the stitching. 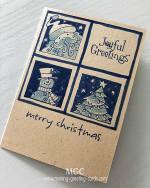 All you need for this card are dark blue and light blue card stocks, a simple 'Happy Father's Day' rubber stamp, a small piece of ribbon and a die cut buckle. 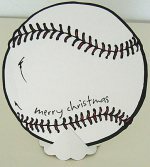 Because of the stitching, it might take a little bit more time to create this card. A Simple Fathers Day Card - I think this is a sweet card to make. Very simple and can be done within an hour. 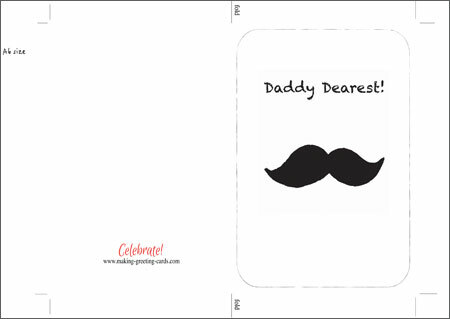 But you will need a tie clipart or rubber stamp to make this father's day greeting card.